Doesn't matter if you live in Toronto or just come to visit this vibrant and full of adventures city, you can always stop by recently opened and already became very popular Bareburger restaurant. It is located at the heart of Toronto city very close to Young & Dundas square where lots of events and activities take place all year long. Bareburger is a popular restaurant chain initially from New York and now taking over the world and has about twenty eight operating restaurants located all across US, Japan and the number continues to grow. Bareburger is special by serving 100% organic meat burgers along with other items in the menu being natural, GMO and pesticide-free. 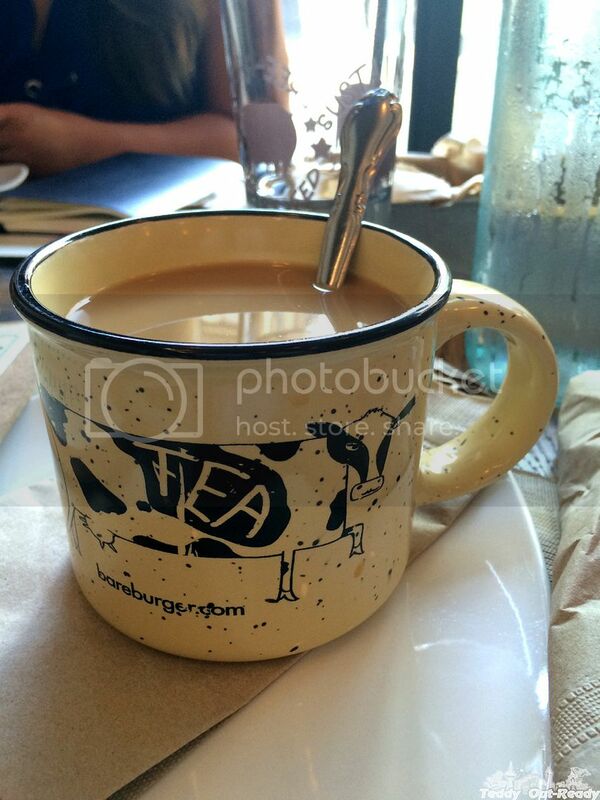 In August we were lucky to join Brunch at Bareburger in Toronto. 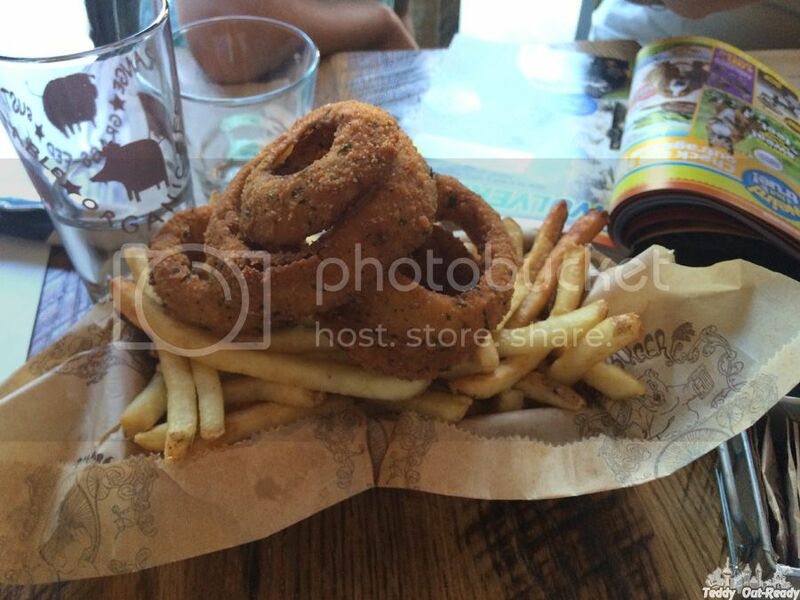 My first positive impression was that Bareburger is pretty spacious for downtown location. You can easily find your lovely spot and even take the whole family like ours with cousins, uncles and grandparents to have a healthy and delicious brunch, lunch or dinner. I also like that Bareburger is located close to Yoga Tree (next door) where after practice we can meet and chat with friends. Talking about menu, it impresses with a variety of healthy options including kale, spinach, avocado and fresh tomatoes. 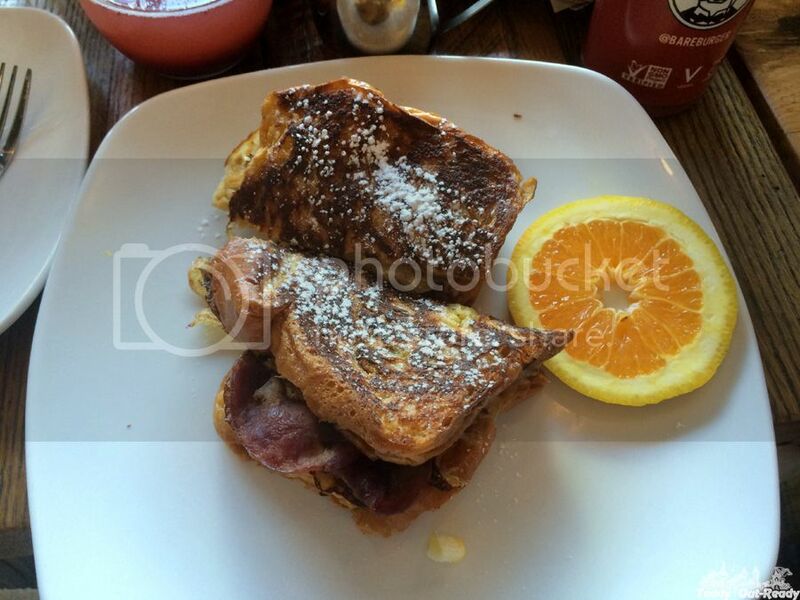 My choice was Duck Duck French Toast which came with absolutely delicious duck bacon, fresh eggs and plum marmalade. At the beginning of our brunch we were treated with onion rings and fries, they probably looked as regular ones, but they taste much better, the key is what they are made from. The most of the ingredients you see in Bareburger menu are locally sourced in Ontario and other provinces farms to make sure we all get healthy and organic food on the table to enjoy. All the drinks, desert and sauces are also meticulously chosen by Bareburger to be delicious and good for our health too. Good to know that the menu at Bareburger is updated every one and half year introducing new flavours but keeping the favorites. 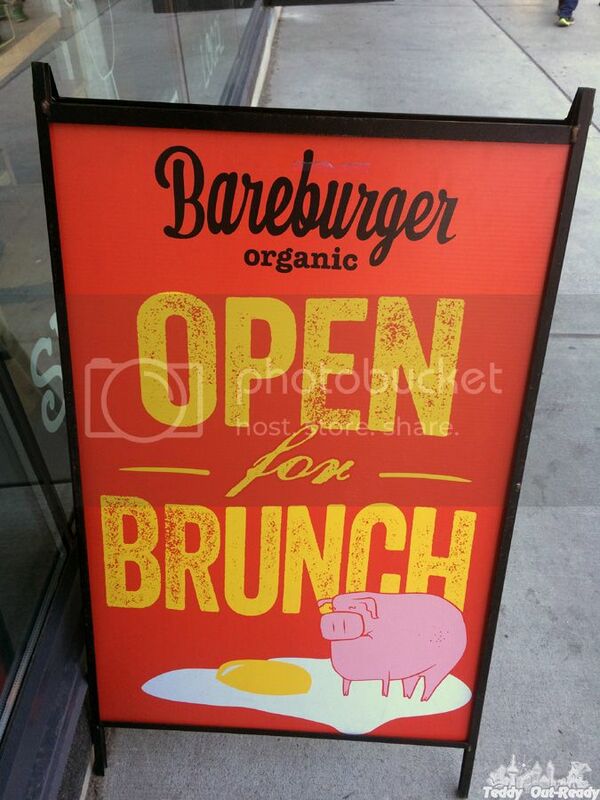 Am I heading back to Bareburger in the nearest future? Yes, of course. I already put my eye on some shakes and ice-cream sandwiches from Gregs Ice Cream plus I would like to treat my little picky hungry cub Teddy, I think we will be happy to spend some time there. 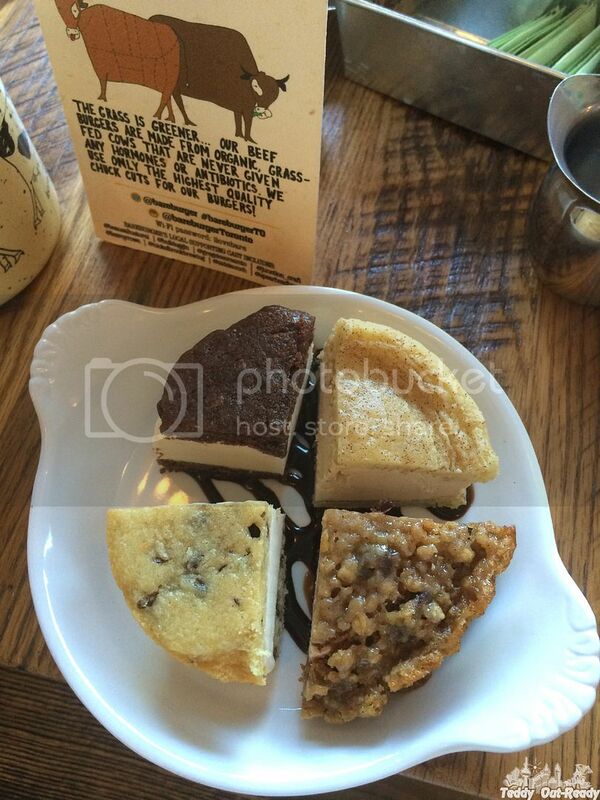 Conveniently located at 111 Dundas Street West, check them out next time you are in downtown Toronto.